Air sealing is imperative. 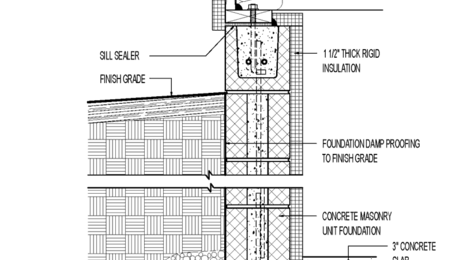 The connection between concrete foundations and wood framing is a place prone to air leaks and moisture problems. Wood is often warped, and concrete is rarely flat. There are at least three places for air to leak in and probably a lot more. Leaky connections can mean energy, moisture, comfort, and IAQ problems. Extending the wall sheathing past these connections is a good first step whenever practical. Caulks, adhesives, spray foam, and gaskets can seal them up tightly. Unless you live in the desert, the ground is always wet; and that ground water is always pushing its way in. 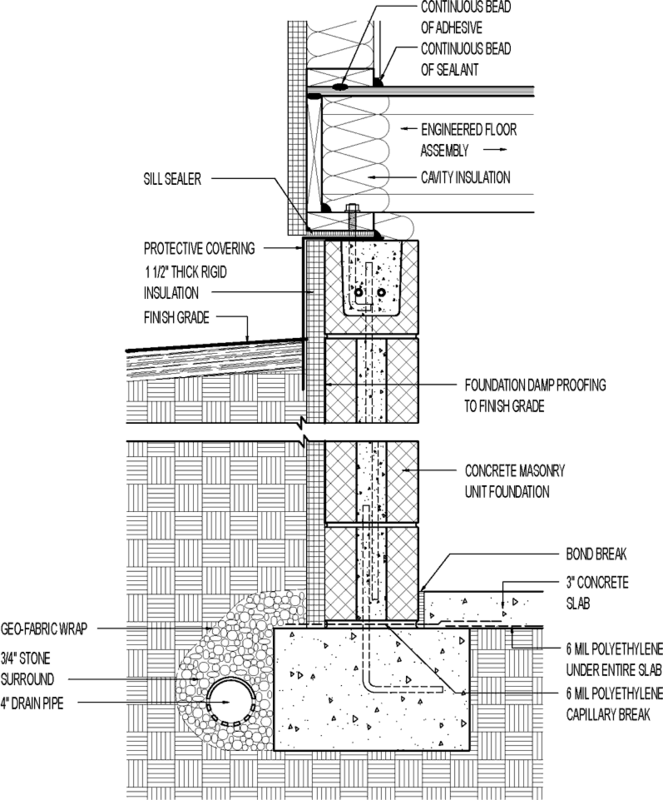 Footing drains can carry away bulk groundwater, but foundations also have to disrupt capillarity. Water in the soil will wick all the way up to the roof framing if you let it. 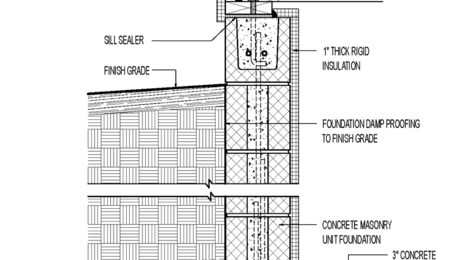 Capillary breaks such as brush-on damp-proofing, sill sealer, and rigid insulation block this process. 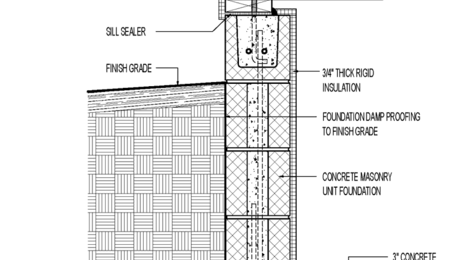 A foundation is a bad place to cut corners because problems are expensive and complicated to fix after a house is finished. Because crawl spaces are mostly buried in the ground, it's important to keep them from getting wet. Brush-on damp-proofing — or even better, dimple mats — help keep basement walls dry. 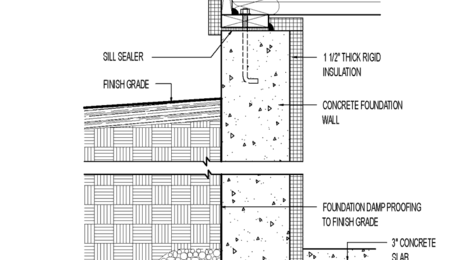 Basement walls should be backfilled with coarse granular material to interrupt capillarity and to help ground- and stormwater flow toward the footing drains.